Dr. Salvador Jorgensen is a marine ecologist and holds the position of Senior Research Scientist in the Conservation Research department at the Monterey Bay Aquarium. 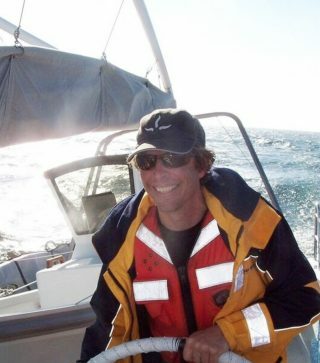 Jorgensen’s research focuses on the ecology, migration and population dynamics of pelagic fishes and elasmobranchs. His recent interests lie in understanding the distribution, abundance, and movement of ocean species and how these are shaped by the interplay between extrinsic environmental factors and intrinsic life history traits. He has conducted research in a range of systems from kelp forests, to seamounts, to the open ocean. Jorgensen holds a B.A. in Environmental Studies from Sonoma State University and a Ph.D. in Ecology from U.C. Davis where he worked on the design of California’s Marine Protected Areas with the Science Advisory Team under the California Marine Life Protection Act (MLPA). During his Ph.D., Jorgensen was also a Fulbright Scholar in Mexico, where he studied the ecological processes of fish species assembly around shallow seamounts, and the use of deep hypoxic habitat by hammerhead sharks. Jorgensen completed a postdoctoral fellowship at Stanford University, where he first became a member of the Tagging of Pacific Predators (TOPP) program as lead researcher on white shark tagging and ecology.